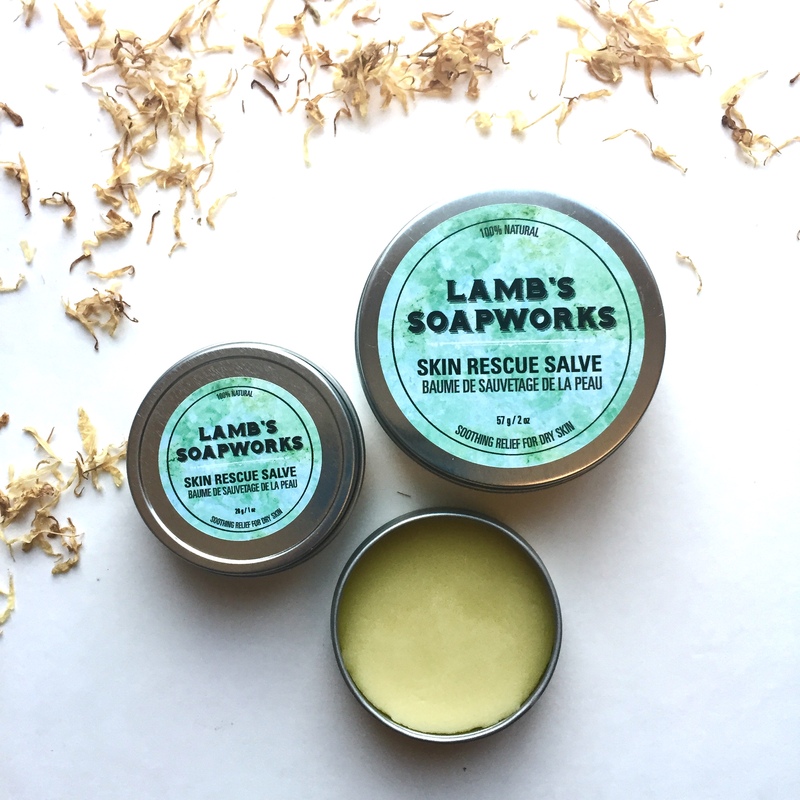 This rescue skin salve provides a rich layer of protection against the elements and helps to soothe work worn hands and dry skin. Beeswax, shea butter, avocado, hemp seed and meadowfoam seed oil provide a surge of skin softening properties to this rich salve. The inclusion of therapeutic grade cedarwood, lavender, and geranium essential oils as well as calendula infused olive oil will soothe and heal rough and dry patches of skin. The perfect solution for eczema! Weight: Available in either 59 ml. / 2 fl. oz. size OR 30 ml. / 1 fl. oz. size. Scented with therapeutic grade cedarwood, lavender, and geranium oils. Packaged in a shallow metal tin. This stuff is so amazing! I’ve been trying to battle my daughters horrible eczema with countless different products and no results! I bought my salve at the Hawk and Harvest market this last weekend and I have seen a massive difference in her eczema around her mouth! It’s almost gone which is such a blessing. I can’t believe how amazing this product is! It’s also great for bug bites. I will definitely be repurchasing! I get such dry hands in the winter and this is the only thing that even comes close to solving it. A little goes a long way. This stuff is absolutely amazing!! My sister used it for her eczema and I use it for my dry skin. The smell is addicting. The texture is perfect, not runny and when warmed in your hands it melts so it’s not super thick. Can’t wait to order some more! !